School is out for summer, but learning is not. 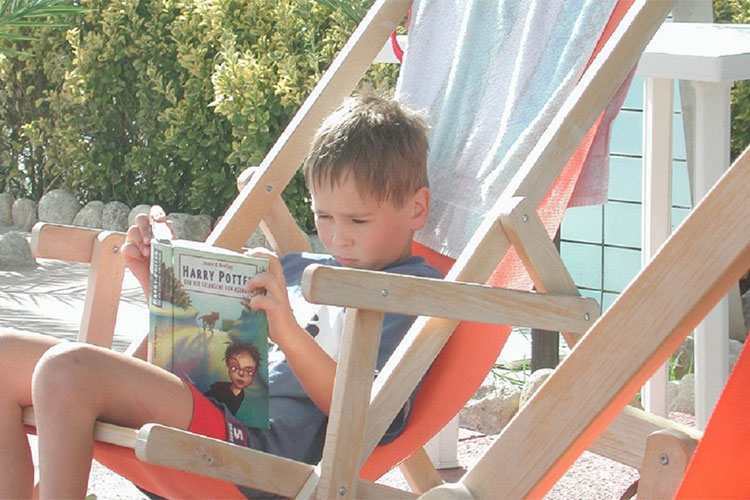 Reading is so often overlooked during the summer break that some students fall behind in reading comprehension by up to two years by grade 5. Good reading skills such as fluency and comprehension require practice and consistency. Setting up a time for your children to read each day will get them in the habit of reading, giving them an advantage when classes start up again in the fall. Establishing a dedicated reading area will also help them stay focused on what they are reading. With a schedule and a space for your children to curl up with a book, reading time can be an easily managed and fun part of each summer day. The world of literature is vast and ever-expanding. Exciting books, creative poems, and fascinating articles are emerging daily from writers around the world. Some children seem to be struggling with reading because the books they have been assigned in school just don’t match up with their interests. Show your children how enjoyable reading can be by finding reading materials they don’t want to put down. Showing children the practical applications of reading will help them understand how reading can be used in their daily lives. For example, as you watch them devour a new video game strategy guide, remind them that reading is what makes it possible for them to learn all the secret moves and find all the hidden stuff! Reading aloud is a great way for parents to get more involved. But don’t just read out loud: get into it! Create different voices for each character or have the entire family act out different parts of the book. Make it fun. Your children will love it and an activity like this will show your child how exciting reading can be when a little creativity is introduced. More educational tips available at www.kumon.ca, or on Facebook at www.facebook.com/kumon.